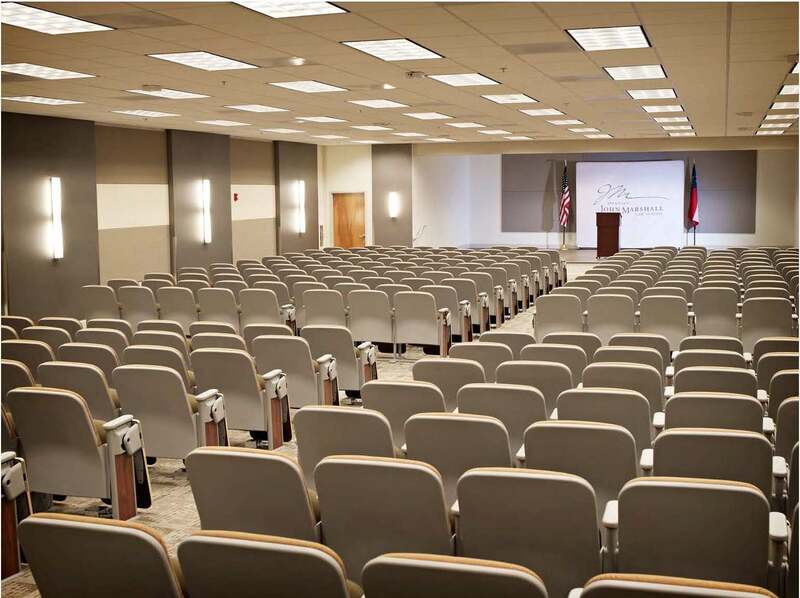 Able to comfortably seat 350 guests, the Auditorium at the Blackburn Conference Center provides the perfect venue for large-scale professional and educational events. Each seat is equipped with a personal fold-out desk and electrical outlet, making it both functional and comfortable for all-day events. This spacious meeting room is ideal for business or professional training programs, large group presentations, lectures and seminars. The Reception Hall blends cuisine from Atlanta’s trendiest restaurants with the stylish charm of hardwood floors, giant columns and large windows. Well-equipped to satisfy your dining needs, this room serves as the meeting point for all banquets, parties and luncheons. 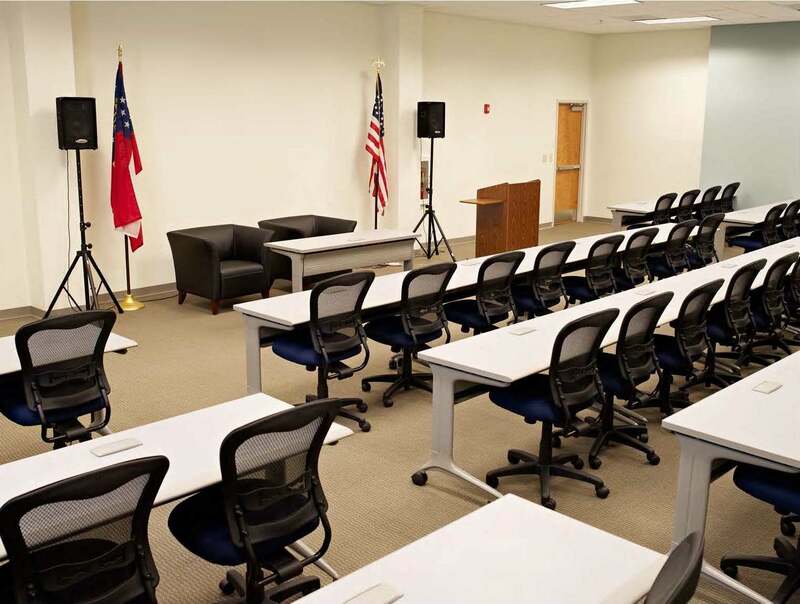 Designed to support medium to large-sized events, the Seminar Room holds 65 guests with an electrical outlet available to each seat. 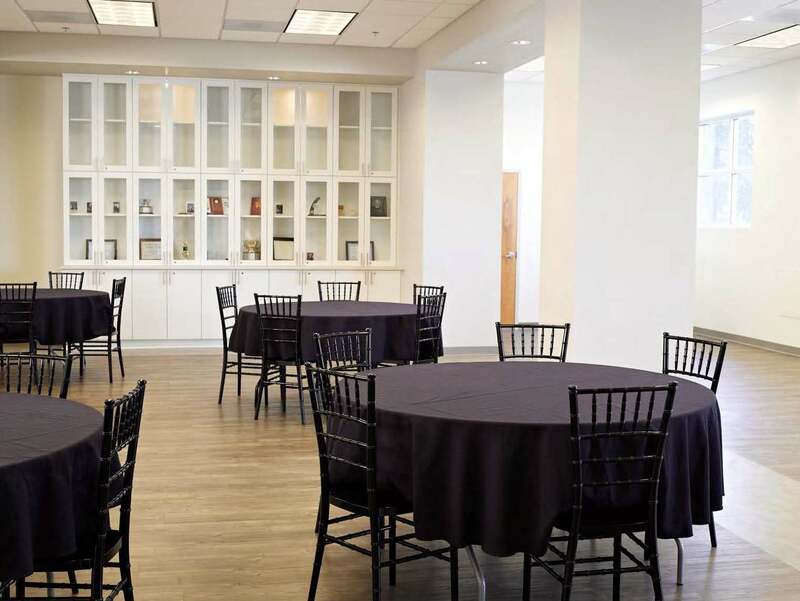 The space also has the flexibility to form different shaped layouts such as a square, rectangle or U-shaped design.This spacious meeting room offers modern amenities including lighting, sound controls, projection screens and more. 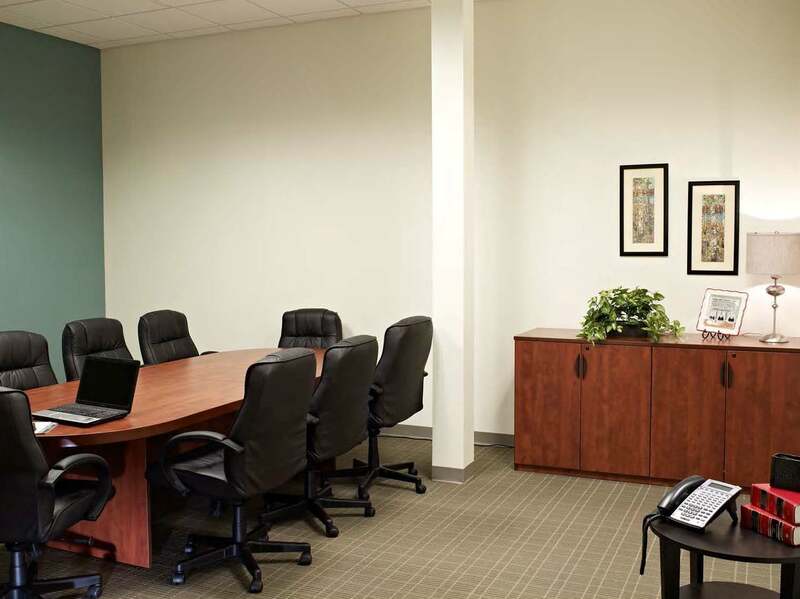 For intimate meetings or break-out sessions during larger events, the Blackburn Conference Center’s conference rooms and board room allow you to conduct business in style. 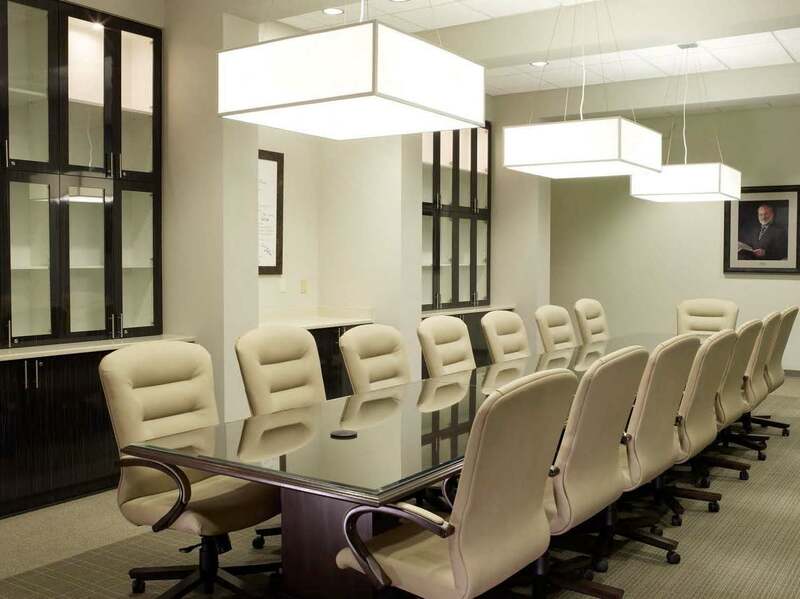 These state-of-the-art rooms come fully-equipped with the space, luxury and technology needed to make your meeting a success!